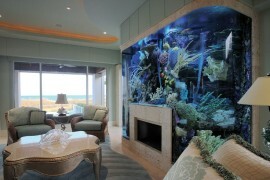 There’s just something soothing about an aquarium. 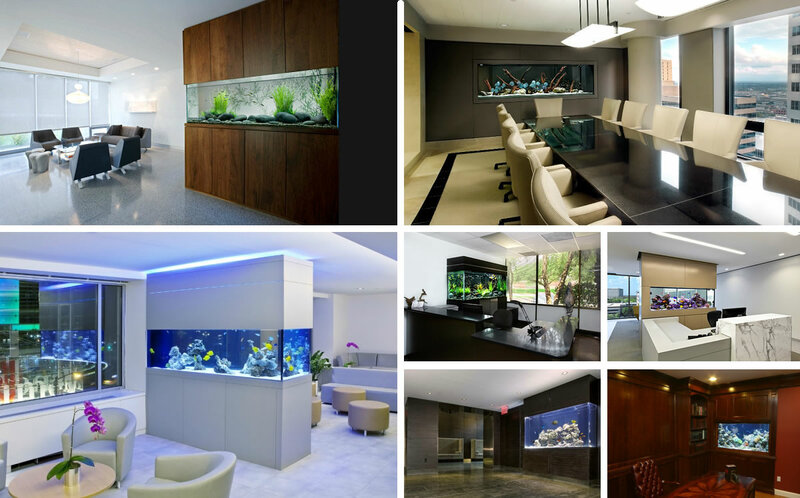 Why do you think so many doctors’ offices and hospitals feature them as centerpieces of the waiting room? 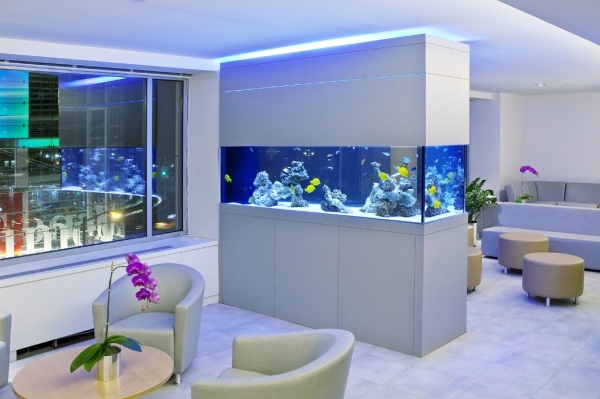 After all, for patients anticipating an appointment or loved ones eagerly awaiting good news, it certainly doesn’t hurt to hear the bubbling sounds of the water while watching colorful sea life scurry around the tank. 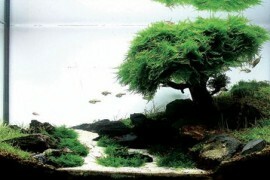 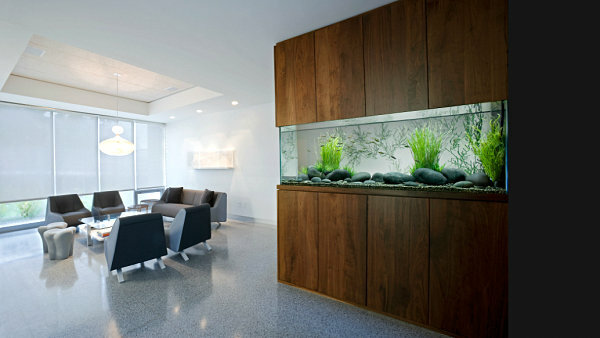 Not to mention, there’s nothing more relaxing than the sight of aquatic plants waving underwater. 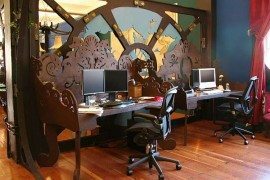 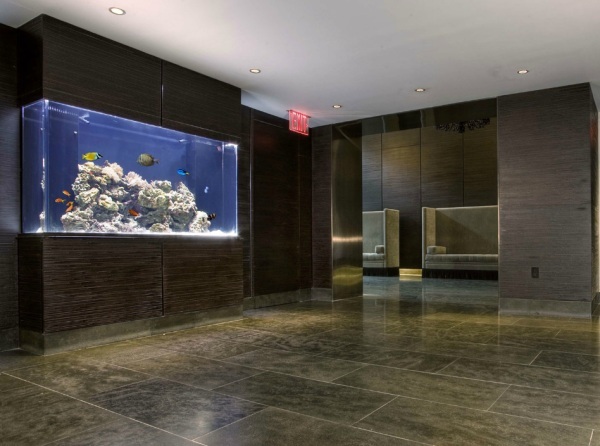 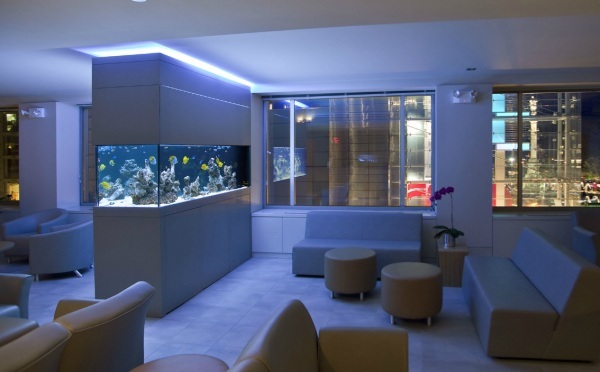 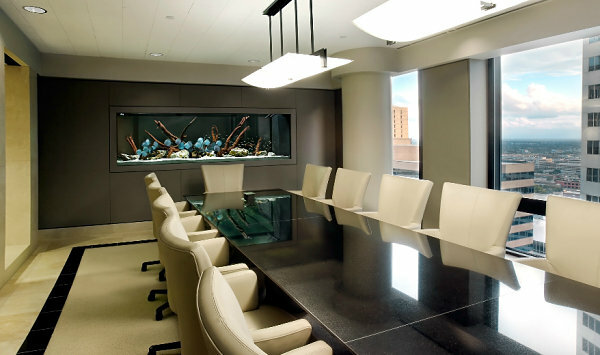 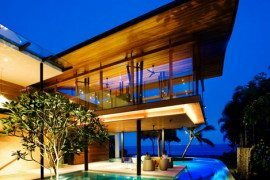 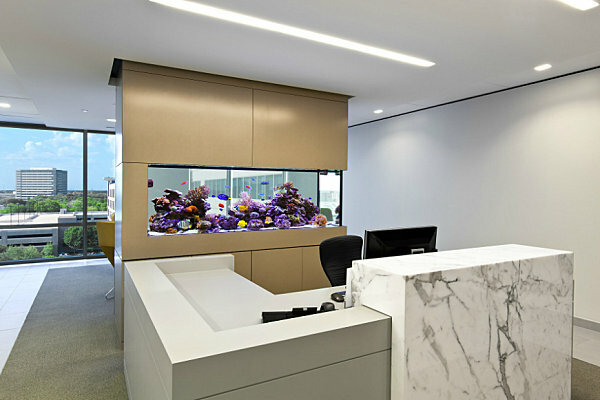 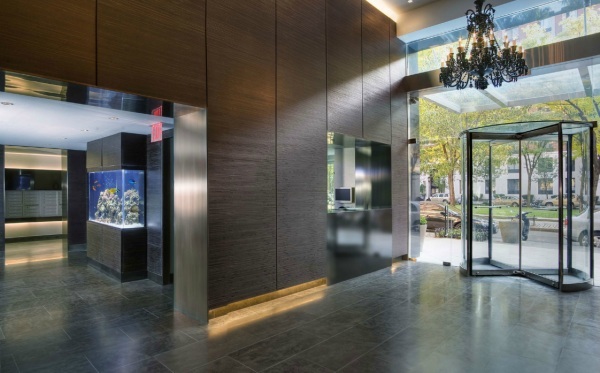 Add the talents of aquarium design firms such as Aquarium Design Group and Okeanos Aquascaping, and the custom design possibilities are off the charts. 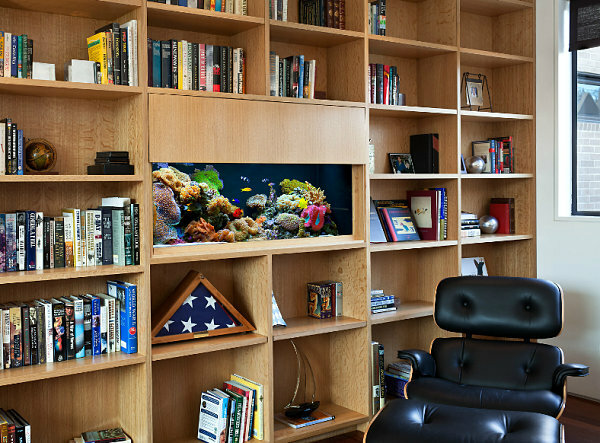 By the way, today’s fish tank enthusiasts view their decorative fish-filled habitats as “aquascapes.” The word has a nice ring to it, don’t you think? 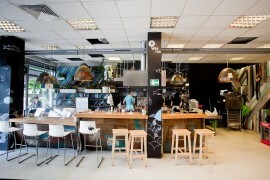 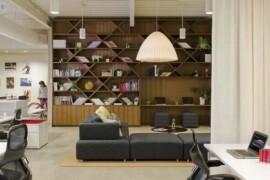 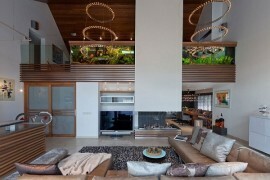 We also think you’ll enjoy the images below. 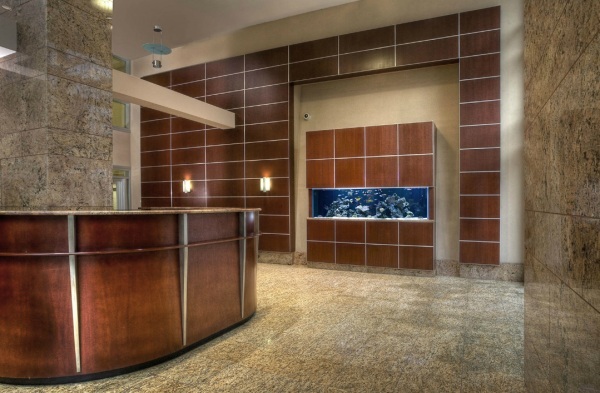 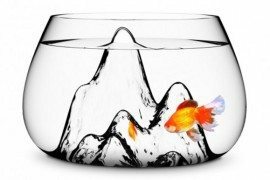 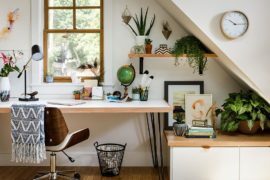 Whether you’re working at home or walking through the lobby on your way to the office, a strategically placed fish tank can take the edge off the most stressful of days! 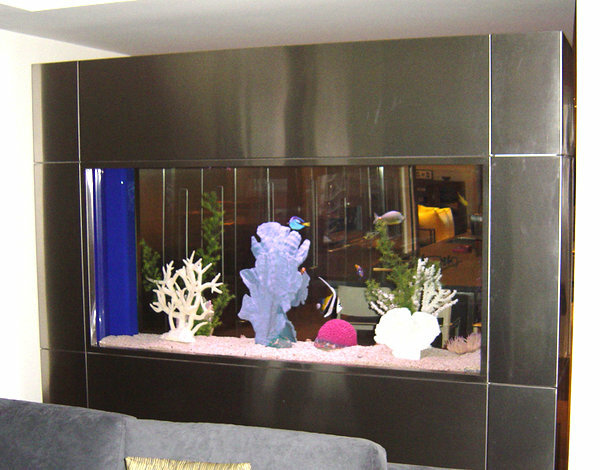 Editor’s note: Having a fish tank that you look at has been proven to add years to your life!